Thanks for fast flowing lovely comment. Wow, what a beautiful poem of love. Loved it . . .
Love is a difficult fiend isnt it? Love the last 2 lines-wonderful! Beautiful words on love! Liked your way of writing. Appreciate your lovely words. Welcome to Sushma's Page. Bhavana- Sometimes it is about hating others too- hatred kills man- loving self is the only solution. Well written! ITs true, we can't love others unless we love ourselves! glad you also think so- I feel only simple solution is to smile and love yourself and you will never hate another human being. yes there is a irony there always- loving self finds challenges in its limits and at times is called being selfish. 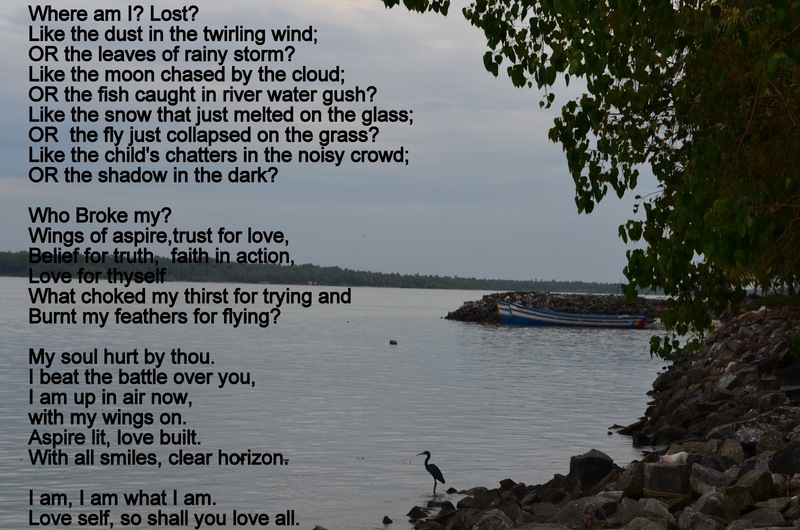 postinagn yang bagus tentang"I am Love "